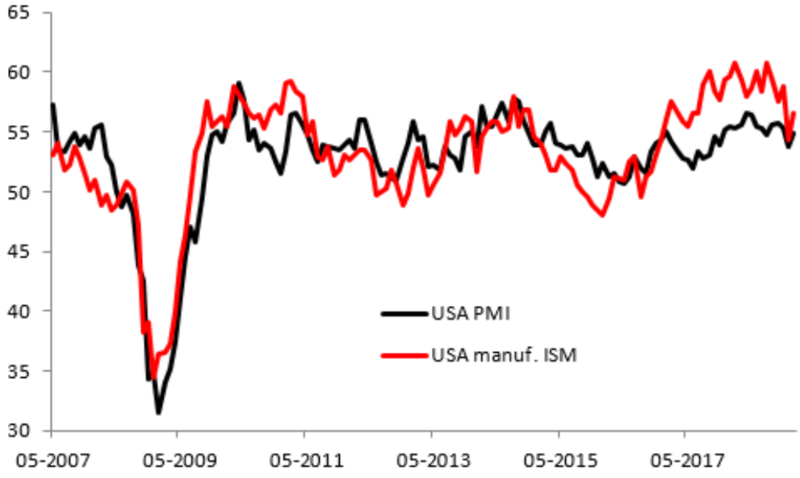 Against a backdrop of clear slowing manufacturing activity in Europe and the Far East, the US has bucked the trend somewhat, with the most recent ISM release coming in better than expected. The data for January showed a print of 56.6 compared to consensus forecasts of 54.0, and marked a decent pick-up on the prior reading of 54.3. This indicator has been pulling back of late, with the prior print of 54.3 marking a large drop from 59.3 for the month before that, but today’s data offers some welcome respite for the struggling manufacturing sector globally. The US dollar has had a fairly mixed afternoon after making some steady gains this morning with the USDJPY particularly noteworthy. Aided by the push higher seen in stocks the USDJPY has rallied around 70 pips since the NFP release and has now completed a round trip from the 109.55 level seen before the Fed meeting. The market remains in a broader range from 108.50-110.00 and until we see a break out of this, then buying the dips and selling the rips looks like the best strategy.